← Why ask staff about drinking in the workplace? I agree that helping staff feel confident to deliver IBA is crucial; but also the raison d’etre needs to be understood too. why I am asking about alcohol use? what will the person think of me asking? are often common first responses from non specialist staff. helping staff to see the value of asking, to understand the pertinence within their role, is a crucial first step to willingness to deliver IBA. Support “at the other end” just as important though…if managers, placement teachers, mentors, senior staff etc dont encourage, support delivery and share success stories then it’s hard to keep the momentum going. 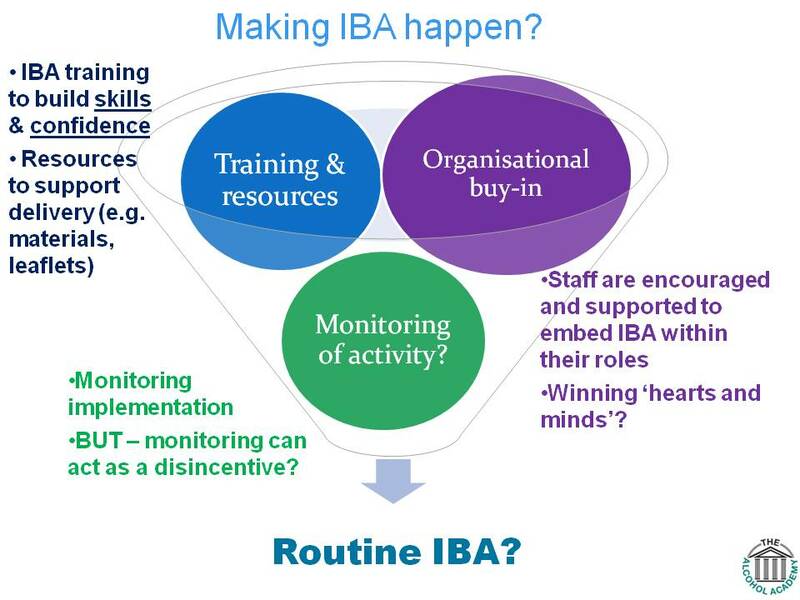 To make delivering IBA the new default rather than a flash in the pan takes planning and effort.